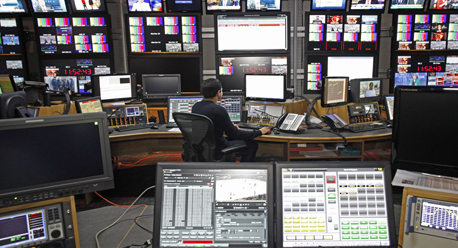 Representing leading international manufacturers from around the world within the Broadcast, Radio, Telecom, Cable, Satellite, IPTV, Internet TV, AV and Pro Audio Industries. ATG Danmon Middle East is able to deliver state of the art equipment and solutions based on the most advanced technology available. The ATG Danmon Middle East Systems Integration activities cover a wide spectrum of operations ranging from designing, installing and commissioning studios, play out centres, news rooms and satellite systems, to the complete infrastructure of television and radio stations for major broadcasters and service providers worldwide.